These pews will be FULL with standing room only. My parish in Ann Arbor is Christ the King Catholic Church. Presiding at Easter Vigil will be Fr. Ed Fride, the same priest that received our family into the Church over 20 years ago. 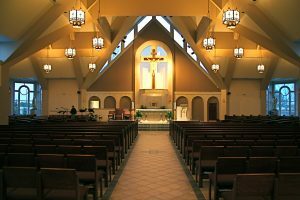 It is an unusually vibrant parish that has 23 men in the seminary, has produced 10 priests, about 10 religious Sister and 10 permanent deacons over the last decade. Unusual in many other ways too including beautiful music and an exquisite Easter Vigil Mass which people line up to attend. 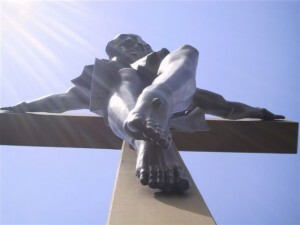 The Easter Vigil Mass at Christ the King this year will be live streamed via YouTube! If you or someone you know can’t make it to our Easter Vigil, click on the link below on Saturday night. The video will go live shortly before Mass starts. You can also watch it at this link after the fact.